All foreign tourists must have an organized plan which includes Tibet travel permits, a tour guide, a vehicle and a driver to travel to Tibet Autonomous Region(TAR) as you probably already know. Because of the political and military situation in Tibet, there are no exceptions, foreigners can not go to the TAR by themselves but with tour guides. Therefore, the costs are beyond reach for budget travelers. Guide prices in the TAR are about $40-$50 a day. Vehicle costs from Lhasa to Everest Base Camp are between $1500-$2000 which are not including the cost along to Kailash($2600-$3200). It is difficult to find a way of lowering the cost of the Tibet tour since foreigners have to hire a guide and a private vehicle as well because travel using public transportation in the TAR is not possible. Nearly every attraction in Tibet such as temples, monasteries, lakes, mountains and glaciers has an entrance fee in addition to the guide and vehicle costs, and some of these fees are very expensive. 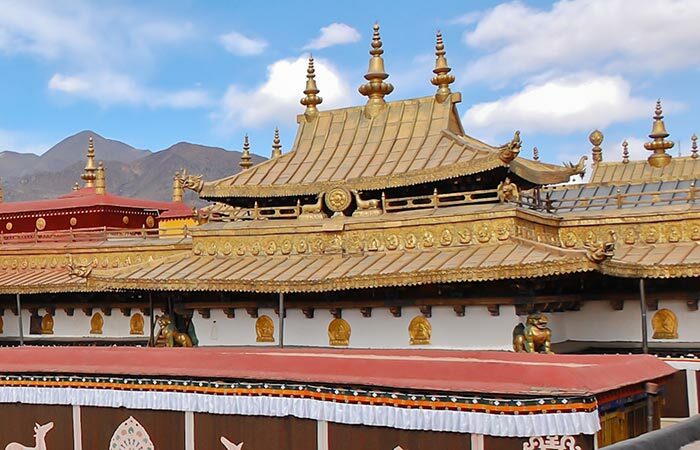 The costs can be really added up over the course of a 10 or 12 days tour in Tibet. You can expect to pay about $175-225 per person just for entrance tickets if you want to take the standard route from Lhasa to Everest visiting the major sites all the way. Once again, traveling on a budget in the TAR is a little bit difficult. Tickets for the Potala Palace are $32/person and tickets to go inside of Jokhang Temple are $14/person in the high seasons. Still, there are some methods for you to lower a little of the cost of traveling in the TAR. You’ll have to pay the guide and vehicle fees if you are traveling solo in the TAR. On the contrary, by traveling with a group of 4-8 people, you can share the costs of tour guide and vehicle with others to reduce your own cost. The point is, the costs of traveling in Tibet are also high for budget travelers even with a group. Here is what I suggest, if you are alone, the costs of a standard tour from Lhasa to Everest Base Camp and back to Lhasa in the high seasons will be $3000-$3500(traffic ticket to/from Lhasa and meals in Tibet are not involved). But if you travel with a 3 people group, you can make the costs down to around $950-$1150 per person. A 4 or 5 group tour to Everest could get the price down to $600-$700 per person. In a word, traveling with a small group of people could save you about 2000 dollars! There are plenty of dorm-style hotels and well-priced standard hotel rooms in Tibet. Unfortunately, many of the budget standard hotels will be outside of walking distance to the Lhasa old town which has most of the main sites. The current Lonely Planet guidebook lists a lot of budget hotels across Tibet. 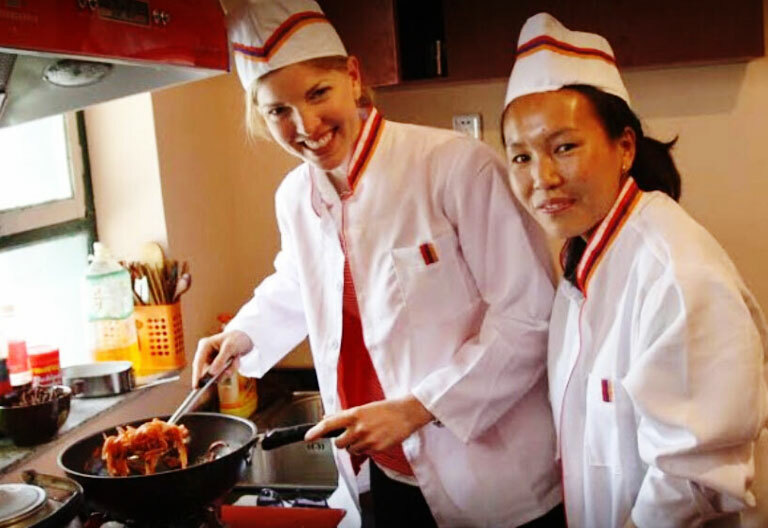 Many excellent restaurants also stand in Lhasa, Gyantse and Shigatse which offer amazing Tibetan, Nepal and Western food yet it could be a little expensive for budget travelers. There are dozens of little restaurants all around the old town of Lhasa that provide you less expensive but delicious bread and noodles. Do tell your guide that you are looking for the non-touristy, Tibetan-style restaurants if you want to save a little money on food. What’s more, if the costs of traveling in the TAR are too far out of reach for you, the Amdo and Kham regions are the better choices. These regions do not require an organized tour because they lie outside of the TAR. You can take public buses to travel through these wonderful regions instead of getting a guide or a private vehicle. Many travelers that travel to Tibet repeatedly claim that the Amdo and Kham regions are the best place to experience the traditional Tibetan culture.